Plenty of bounce options to suit all. Easy to align, ample control. Sole design is a little one dimensional. 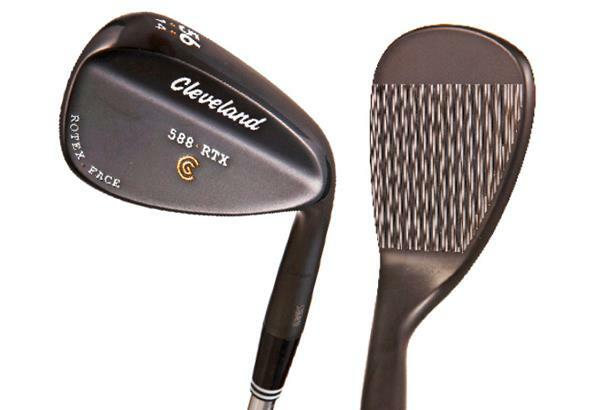 588 RTX wedges combine the legendary performance of 588 with the breakthrough Rotex Face – Cleveland’s most advanced spin technology ever - features Tour Zip Grooves that are 16 per cent larger than the 2010 model and a rougher, more durable laser milling for greater friction and spin. The U-Groove design also helps deliver more control in wet conditions and from sand. Available in multiple lofts, bounces and finishes. 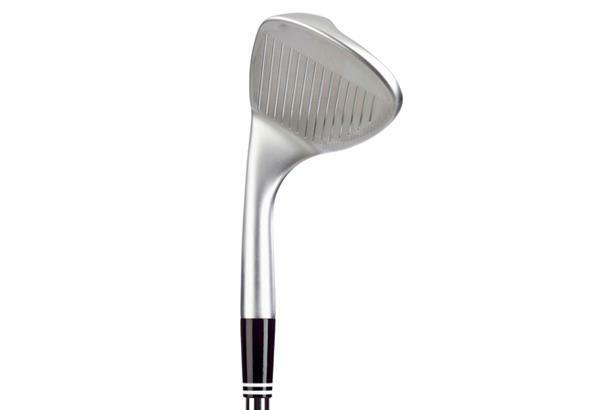 As reviewed in our 2014 Wedges Test: The compact head shape is pleasing. The face design is a little distracting initially with the face milling and the micro-scorelines between the grooves but soon forgetten when you see the ball check up impressively. The hosel is thinned out at the neck, something to look for in a decent wedge, which helped the head work through the longer grass. The sole is quite flat regardless of the bounce option you have. The lighter grooved area and micro score lines make alignment easy. Can’t fault the levels of control and there’s a ton of bounce options out there, but the soles aren’t overly versatile with limited heel and toe relief. Whatever shot we tried it came off, nice high launch but still spinning plenty on landing. The way it sits is nice even in the high bounce option, boosting confidence. Simple, classic, premium look. As reviewed in our 2013 Wedges Test: James felt the overall head shape was nice but didn’t like the way the hosel got thinner towards the clubhead – he found it a little off-putting. 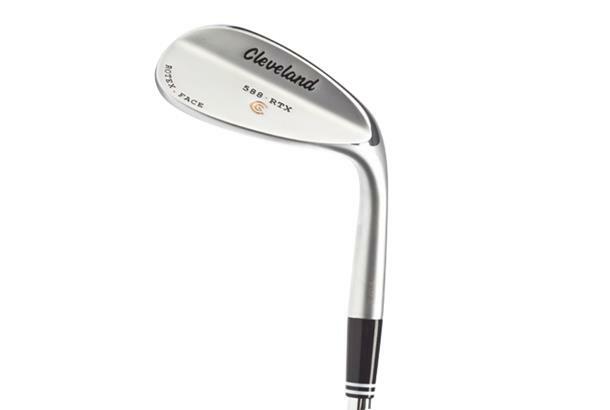 Chris said the larger clubhead than others on test boosted his confidence while Kit noted how the lighter grooves stood out from the clubface at address. James felt the ball appeared to come off the face hot because it launched lower, caused by extra spin. He commented that the standard wedge sits a little upright, causing the heel to dig in. So he had to make adjustments, but said that was something which could be sorted with a Cleveland fitting. Joel was amazed at how soft the feel was off the clubface and how much spin he was able to create on such short shots, even from the rough. Kit liked how tight the leading edge sat to the ground, which made it easy to open the blade on tight lies. He said this upped his confidence, sliding the wedge underneath the ball with assurance. Like Joel, Kit got a super soft feel and plenty of spin.